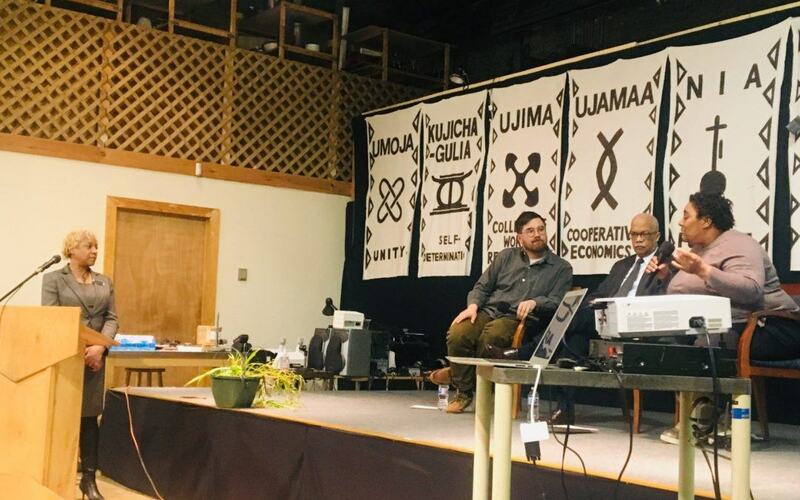 On February 26, about sixty people joined ACTS Housing as it hosted its panel discussion “Locked Out: Solutions to the Black Homeownership Decline” at the Wisconsin Black Historical Society, 2620 W. Center. 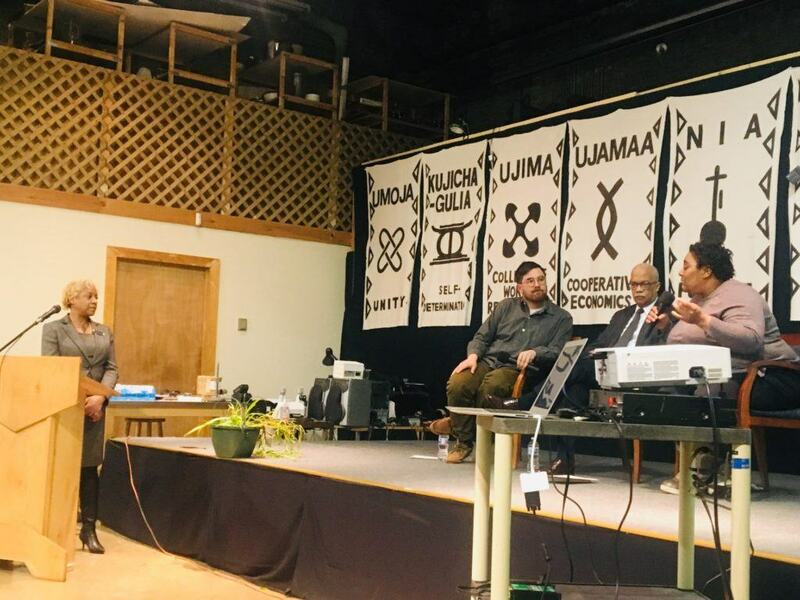 Panelists for the evening were: Adam Carr, Deputy Editor for the Milwaukee Neighborhood News Service; Bill Tisdale, President & CEO for the Metropolitan Milwaukee Fair Housing Council; Danell Cross, Executive Director of Metcalfe Park Community Bridges, Inc. The panel was moderated by Dorothy York, ACTS Housing’s Associate Director. The panel came on the heels of the 2018 community-wide reading of The Color of Law which examined the federal, state, and municipal policies that kept African-Americans from participating in homeownership. The legacy of those laws was a pointed feature in the discussion. 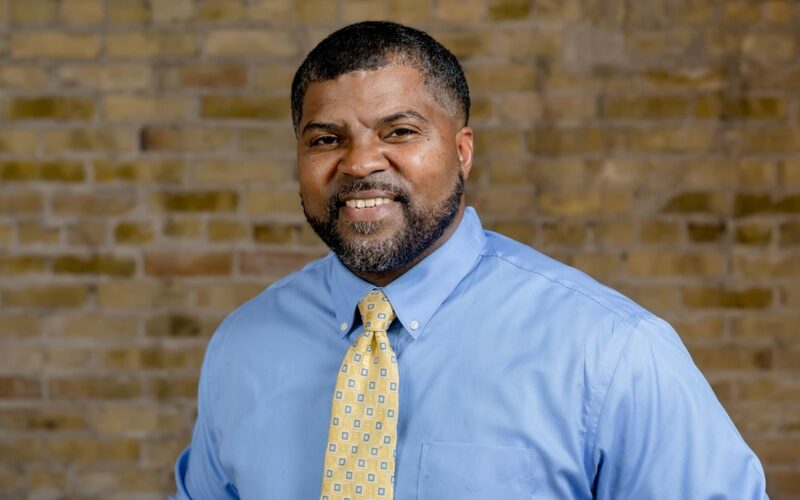 Carr, who co-led the city’s commemoration of the 50th anniversary of the March on Milwaukee, showed a few photos and news clips that illustrated the pervasiveness of housing discrimination in the city. “Property is, in fact, what leads to wealth…these institutions were designed to institute division, and maintain that division,” Tisdale said. Cross urged creativity to get African-Americans into homeownership and to keep the community in mind. Tisdale stressed the need for education. Cross believes the solution is in stakeholders being active in the community. Deon Price says he plans to stay at ACTS until it no longer exists or he passes away—either way he’s in it for the long haul. Having grown up in East St. Louis, Ill., he said he knows first-hand the effects of disinvestment on a community. “The community I grew up in is no longer there,” he said. A commercial trucking company bought the land in the community and are attempting to push the remaining residents out. Prior to coming to ACTS, Deon worked at another firm. He says he primarily worked with working-class families who made ends meet earning $10 to $17 per hour. ACTS was a natural fit as empowering families became part of his core values. “It’s satisfying working with someone who’s never owned a home before,” he said. He remembers fondly a family he worked with who thought they couldn’t own a home. “[I remember] the look on their faces when they found out they had an accepted offer. It was emotional,” he said. Those in his circle of influence look to him for advice on real estate. As a father of six and former airman in the Air Force, it’s a role he’s settled in to nicely. He plans to expand his reach and to veterans. “A lot of veterans who have served have a hard time finding a place to stay,” he said. The issue is even more salient now. Deon’s 23-year-old son, Danny, is currently serving in the Marines in Hawaii and has one year left. “I told him before he enlisted to save up for these things,” he said. The ACTS realtor, advisor to many, father to six, photographer, veteran and martial arts teacher has many titles, but the title he holds in high-esteem: husband. He and his wife have been married for twenty years. The secret? Put the other person first.